Nissan chairman Carlos Ghosn was arrested on suspicion of under-reporting $44.6 million in pay, the Tokyo District Public Prosecutors Office said Monday. Also arrested was Greg Kelly, a representative director at Nissan, on suspicion of conspiracy with Ghosn. In 1999, French automaker Renault and the Japanese automaker formed a strategic alliance. Ghosn, 64, was then sent by Renault to take over as chief operating officer of Nissan. Nissan CEO Hirota Saikawa, taking the unusual step of appearing by himself in a news conference, criticized the concentration of too much power by a single individual, and offered an apology. "I feel strong anger and disappointment,” Saikawa told reporters at Nissan headquarters in Japan. “I am very sorry." "The investigation showed that over many years both Ghosn and Kelly have been reporting compensation amounts in the Tokyo Stock Exchange securities report that were less than the actual amount, in order to reduce the disclosed amount of Carlos Ghosn's compensation," the company said in a statement. "Numerous other significant acts of misconduct have been uncovered, such as personal use of company assets." The company said it began investigating months ago, acting on a tip from a whistleblower. Even as authorities in Japan arrested the pair of executives, Nissan moved to fire Ghosn. Save for Tesla’s Elon Musk, few automotive executives have carved out a more high-profile presence than Ghosn who, at one point, became the star of a widely read series of comic books in Japan. But the 64-year-old executive's career now appears to be in tatters. Prosecutors did not say whether either Ghosn or Kelly responded to the allegations, according to the Tokyo-based newspaper Asahi Shimbun. Nor have reports from Japan yet indicated whether the two executives are being held in custody or released. Born in Brazil of Lebanese parents, Ghosn began his career working for the Paris-based Michelin tire company. He was recruited by Renault in 1996 and tasked with pulling the French automaker out of a steep financial slide. His radical restructuring had Renault back in the black barely a year later. If anything, the investment proved invaluable. Not only did Nissan quickly claw its way back into the black — earning solid margins and slashing its debt in half within three years — but it provided a lifeline for Renault when it ran into financial problems of its own a few years later. 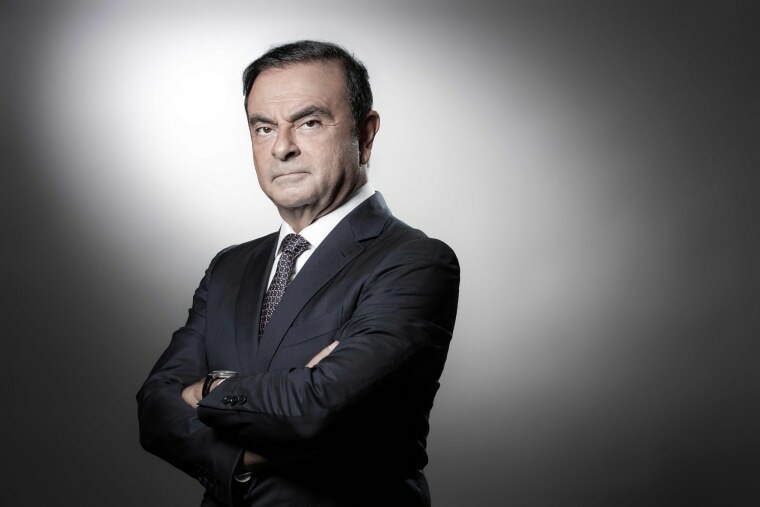 Ghosn was soon elevated to CEO of the Japanese company and, subsequently, took on the same role at Renault. He also served as chief executive with the Renault-Nissan Alliance, the umbrella organization set up to coordinate operations between the two automakers. Despite their cross-ties, the two continued to function as independent companies. Ghosn’s penchant for deal-making continued to expand the empire. Nine years ago, the alliance entered into a partnership with Germany’s Daimler AG. While there are no cross-holdings, the pairing has saved billions of dollars, Ghosn and Daimler CEO Dieter Zetsche announced at a Paris news conference last month. The relationship has involved the sharing of engines and vehicle platforms, among other things, as well as the construction of an assembly plant in Mexico shared by Daimler’s Mercedes brand and Nissan’s Infiniti. Two years ago, Ghosn orchestrated Nissan’s purchase of a controlling stake in Mitsubishi Motors, a small Japanese automaker that appeared ready to go bankrupt following a fuel-economy ratings scandal. By combining Renault, Nissan and Mitsubishi sales, the alliance claimed to be the largest automotive group in the world in 2017, though it is battling both Volkswagen AG and Toyota for the lead this year. Ghosn this past year relinquished his post as CEO of Nissan, stepping back from daily operations as its new chairman. That, he explained, allowed him to focus on a turnaround at Mitsubishi as its new chief executive. But he maintained his CEO posts at both Renault and what is now the Renault-Nissan-Mitsubishi Alliance. A spokesman for those Paris-based operations said a statement would be “forthcoming” as to Ghosn’s future there. Saikawa, who succeeded Ghosn as Nissan CEO, was also expected to seek the firing of Kelly from his position as representative director. Kelly, 62, started out at the automaker’s big assembly plant in Smyrna, Tennessee, working in the human resources department. Kelly rose through the corporate ranks at Nissan’s U.S. operations before joining Ghosn in Japan where he oversaw a number of departments, including legal, HR and communications. He officially retired from his day-to-day role in 2016 but continued in the director’s post.